(Bass). 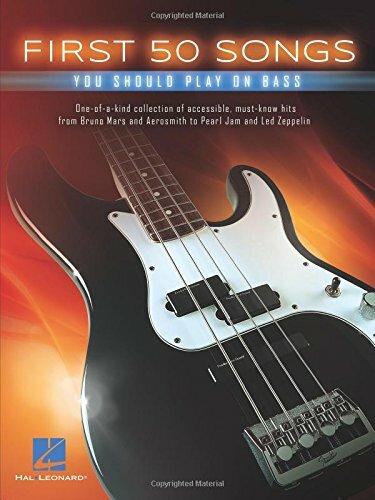 If you're new to the bass, you are probably eager to learn some songs. 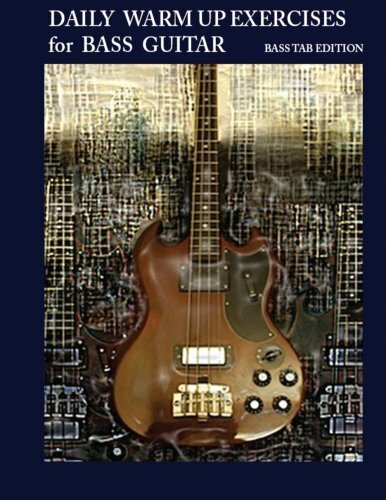 This book provides easy arrangements in tab with lyrics for the most popular songs bassists want to play. Includes: American Girl * Billie Jean * Blister in the Sun * Crossfire * Hey Joe * I Got You (I Feel Good) * Livin' on a Prayer * Low Rider * Money * Monkey Wrench * My Generation * Paranoid * Peter Gunn * The Pink Panther * Roxanne * Should I Stay or Should I Go * Uptown Funk * What's Going On * With or Without You * Yellow * and more! 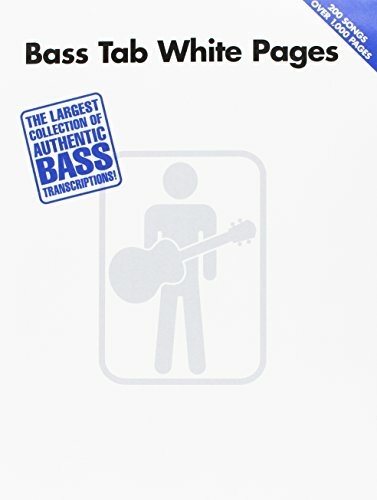 (Bass Recorded Versions). 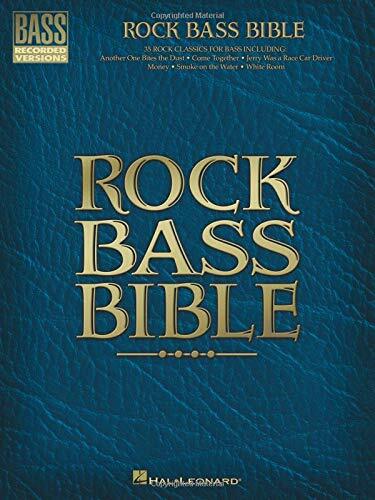 A must-have for any bass player! 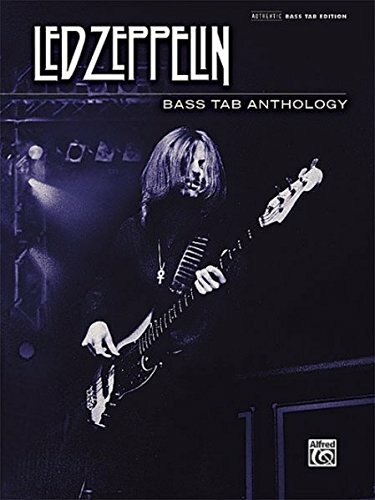 This outstanding 200-song collection features note-for-note bass transcriptions with tab, straight from the original recordings. All styles of music are represented in this massive, 1024-page compilation. Includes: All Apologies * All Shook Up * Another One Bites the Dust * Are You Gonna Go My Way * Baby Love * Bad Medicine * Badge * Barracuda * Beast of Burden * Blue on Black * Blue Suede Shoes * Blueberry Hill * Brass in Pocket * Bulls on Parade * Carry on Wayward Son * Cherry Pie * Come Out and Play * Come to My Window * Come Together * Couldn't Stand the Weather * Detroit Rock City * Eight Days a Week * Fly Away * Free Ride * Get Ready * Great Balls of Fire * Hard to Handle * Hey Joe * Hey Man Nice Shot * Higher Ground * I Can See for Miles * I Fought the Law * The Impression That I Get * Into the Great Wide Open * Iris * Iron Man * Jessica * Learn to Fly * Maggie May * Maria Maria * Money * My Girl * Oye Como Va * Paperback Writer * Paranoid * Pride and Joy * Riding with the King * Semi-Charmed Life * Sultans of Swing * Under Pressure * Walk of Life * Would? * Wonderwall * and many more! (Bass). This fun collection features 80 rocking tunes transcribed note for note for bass: All Right Now * The Boys Are Back in Town * Casey Jones * Detroit Rock City * Don't Stop Believin' * Girls, Girls, Girls * Heard It in a Love Song * Killer Queen * Layla * Money * Paradise City * Rosanna * Summer Song * Walk on the Wild Side * and many more. (Bass Recorded Versions Mixed). 18 classic bass-heavy favorites transcribed note for note, including: Ace of Spades * (Anesthesia) - Pulling Teeth * Bat Country * Before I Forget * Combustion * Hammer Smashed Face * Hold On * Laid to Rest * Nothing Remains * The Number of the Beast * Oblivion * Panic Attack * Raining Blood * Stricken * Tears Don't Fall * Toxicity * Walk * Windowpane. (Bass). 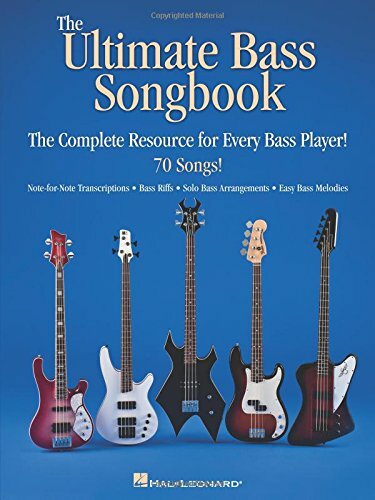 This songbook features a variety of arrangements and transcriptions for 70 songs ranging from exact note-for-note transcriptions and easy bass melodies to solo bass arrangements and bass riffs. No matter what type of arrangement you prefer, you'll find many top hits to play in this collection! Songs include: All My Loving * Blowin' in the Wind * Bridge over Troubled Water * Canon in D * Crazy * Dust in the Wind * Every Breath You Take * Hallelujah * Head like a Hole * Let's Get It Started * Let's Go Crazy * Peter Gunn * The Pink Panther * Pride and Joy * Slow Ride * Stand by Me * Sweet Child O' Mine * Under Pressure * Yesterday * and more. 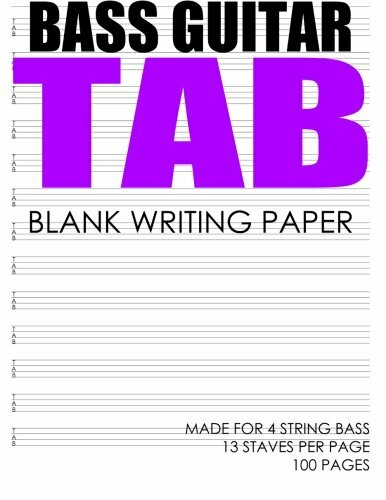 Looking for more Bass Guitar Tab Book similar ideas? Try to explore these searches: Rechargeable Emergency Lantern, New York Yankees Signed Ball, and Neoprene Neck Sweat Horse. 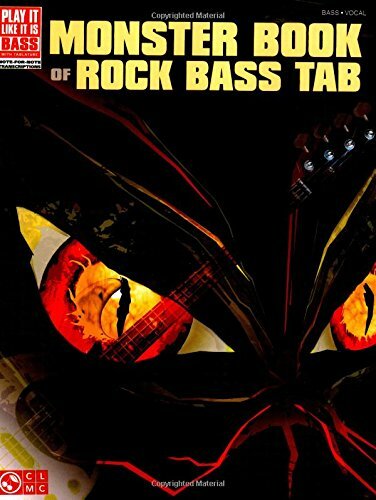 Look at latest related video about Bass Guitar Tab Book. Shopwizion.com is the smartest way for online shopping: compare prices of leading online shops for best deals around the web. 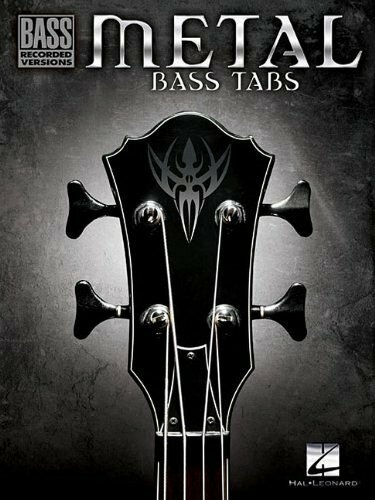 Don't miss TOP Bass Guitar Tab Book deals, updated daily.